The Israeli occupation forces (IOF) on Friday injured a number of Palestinians and arrested others during peaceful demonstrations in different West Bank areas. At least 15 Palestinians were injured by rubber-coated metal bullets and dozens choked on tear gas during clashes with the IOF soldiers who stormed Jalazone refugee camp in Ramallah. Local sources said that the IOF closed the main entrance to the camp, prevented the Palestinian citizens from entering or leaving the area, and heavily fired tear gas bombs at Palestinian homes. The IOF further broke into several Palestinian shops and seized their surveillance camera recordings. Meanwhile in Kafr Qaddum, the IOF violently quelled a peaceful demonstration calling for opening the village's road that has been closed for over 15 years in favor of Kedumim settlement. Popular resistance coordinator Murad Shtewi said that the IOF heavily fired live ammunition, rubber-coated metal bullets, and stun grenades at the demonstrators injuring one of them. According to local residents, the IOF arrested three Palestinians during a raid on Kafr Ni'ma village in Ramallah that witnessed heavy firing of live ammunition at the Palestinians. 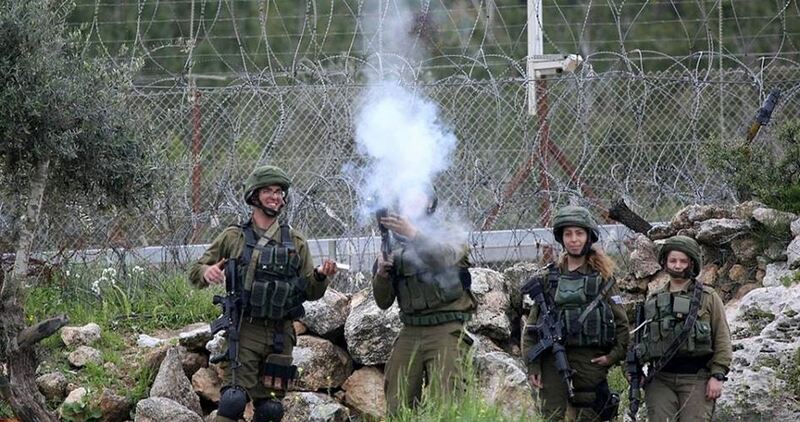 Dozens of Palestinians suffered breathing difficulties when the IOF attacked anti-settlement demonstrations in Bil'in and Ni'lin villages in Ramallah with tear gas canisters and stun grenades, the PIC reporter said. The IOF quelled another march in the neighboring Beit Sira village that called for releasing the bodies of the Palestinian martyrs Yousef Anqawi and Amir Darraj. Many suffocation cases were reported among the peaceful protesters as the IOF used tear gas to disperse them. 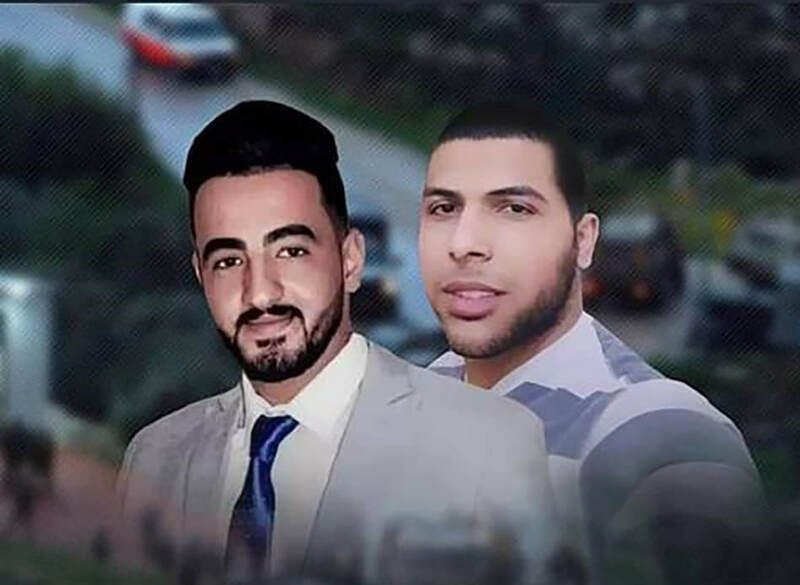 Anqawi and Darraj were shot dead about two weeks ago by the IOF while they were on their way to work in Kafr Ni'ma village. The Israeli Authorities handed, late of Friday evening, the copse of a Palestinian child to her family, 36 days after killing her and holding her body. 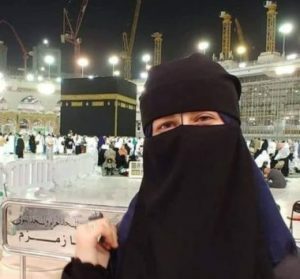 Media sources in Ramallah said the soldiers delivered the corpse of Samah Zoheir Mubarak, 16, to the Palestinian Red Crescent, before it was sent to a local hospital. Her body was transferred from the Israeli side to the Palestinians at the Ofar military roadblock, west of Ramallah, in central West Bank. It is worth mentioning that Mubarak was killed by Israeli soldiers, on January 30 2019, after the soldiers claimed that she attempted to stab them. Samah was walking in an area of the military roadblock only designated for vehicles and not pedestrians when she was fatally shot from a close range. The Border Police examined her schoolbag, which was filled with books, and school stationary. She was left bleeding on the ground and died from her wounds. She is from Nusseirat in Gaza, but her family moved to Umm ash-Sharayet neighborhood in the central West Bank city of Ramallah and was an eleven-grade school student. At least five Palestinians were injured on Friday afternoon during clashes with the Israeli occupation forces in Beit Sira village in Ramallah. Dozens of Palestinians marched peacefully in Beit Sira following Friday prayer to ask the Israeli authorities to release the bodies of two Palestinians who were killed on Monday. The Israeli forces targeted the protesters with live ammunition, rubber-coated metal bullets, and tear gas bombs. Five Palestinians suffered live fire wounds, and dozens others choked on tear gas. Local sources reported that the protesters managed to remove the fence which the Israeli forces placed around the village's lands a few years ago. The peaceful protesters waved Palestinian flags and chanted slogans condemning the Israeli crimes. The Israeli forces on Monday killed Amir Darraj and Yousef Anqawi while they were on their way to work in Kafr Ni'ma village in Ramallah. Zehava Shaul, mother of a fallen IDF soldier whose remains are believed to be held by Hamas in the Gaza Strip, is fighting cancer and feels like she hasn't got much time left. "I just want to see my son Oron," she said Monday, weeping; "alive, wounded — and if he's dead, I want a grave." Zehava, 63, has been fighting cancer for years and endured two brain surgeries. Two weeks ago she passed out and her situation is deteriorating. According to the IDF, her son Oron, a soldier in the 13th Battalion of the Golani Brigade, died alongside five other IDF soldiers, in July 20, 2014, during Operation Protective Edge. Oron was traveling through the Shuja'iyya neighborhood in Gaza City in an armored personnel carrier that was hit by an anti-tank missile, killing the six soldiers in it. Hamas quickly declared it had seized Oron — not mentioning if he is alive or dead. Following the incident, the IDF declared Oron as a deceased soldier whose burial place is unknown. The Shaul family has been struggling relentlessly ever since, in an attempt to discover the whereabouts of their son or return his remains. Oron's father, Herzl Shaul, passed away two and a-half years ago without receiving any word about his son, after he suffered from cancer. "Oron my love, I have a confession to make," Herzl wrote in a letter to his son a few days before he died. "Remember when you said you were going to Golani, and mom was begging you to give it up because it's dangerous? Well, you need to know that in my heart I was happy and proud. I want to apologies for not listening to your mother." Today, Zehava is the one who's slipping away. "I'm not doing so good, I don’t have much time," she said, and lamented the stand-still regarding her son. 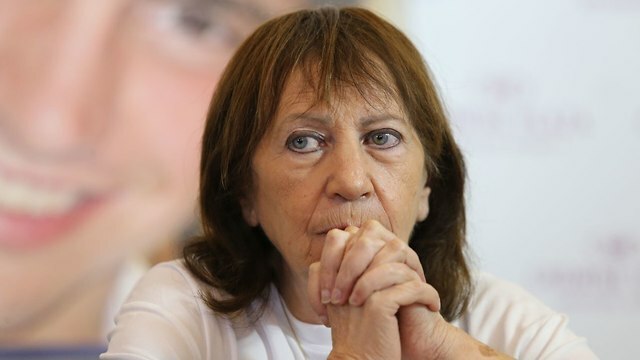 Zehava poins a finger towards Prime Minister Benjamin Netanyahu, Blue and White leaders Benny Gantz and Moshe "Bogie" Ya'alon, former head of the personnel directorate at the IDF Orna Barbibai and Rafi Peretz, former IDF chief Rabbi. All held chief roles in Operation Protective Edge, and are currently running for office in the April elections. "For four-and –a-half years all these contenders did nothing to get my son back. They didn't lift a finger," Zehava said. "It happened under their watch. Benny Gantz is a charming man with a heart of gold, but in regards to actions? Nothing. He isn't fit to run this country. None of them is willing to guarantee he will take care of Oron's case." Zehava believes nothing is being done, and said she is ready to give up. "The prime minister only knows how to make promises; he doesn't know how to keep them. I wan't to know about every step Oron took. We've petitioned to the High Court of Justice and it was established that there is still no certainty regarding Oron's fate, and that the decision to declare him as deceased is not a substitute for seeking complete certainty." "I just want to know where my son is already," Zehava concluded. "And if he's dead, I at least want to have a grave." This follows previous warnings from Palestinian Ambassador to the United Nations Riyad Mansour who said the bodies of Palestinians killed by Israeli security forces “were returned with missing corneas and other organs, further confirming past reports about organ harvesting by the occupying power. 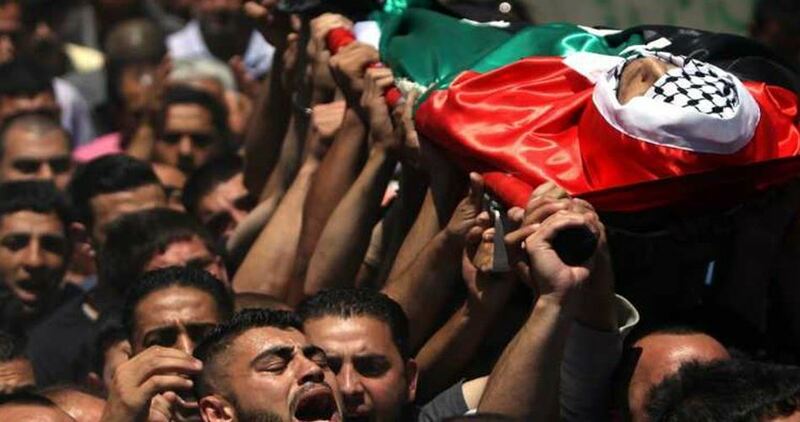 Hundreds of Palestinians on Saturday afternoon marched in al-Khalil for the funeral of a Palestinian martyr whose body was released following three months of detention by the Israeli authorities. The marchers waved Palestinian flags and chanted slogans condemning Israel's killing of Muammar al-Atrash, 42, a father of seven. The Israeli forces killed al-Atrash over an alleged stabbing attack that led to injuring an Israeli soldier on 22 October 2018. Al-Atrash's body was handed over to his family on Friday, three months later. The Israeli occupation authorities are currently holding the bodies of 36 Palestinian martyrs.